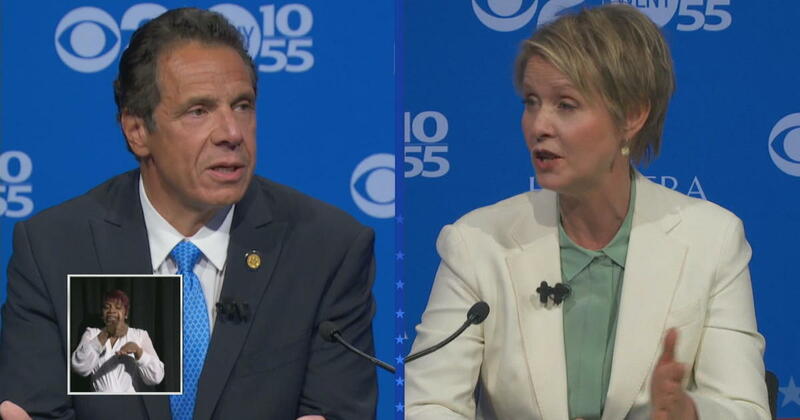 HEMPSTEAD, NY – There was a cooling in the debate hall Wednesday night – not from the icy exchanges between actress-turned-governor candidate Cynthia Nixon and New York Governor Andrew Cuomo but from the actual temperature. Prior to the debate, Nixon's team requested that the temperature in the hall be raised to 76 ° C. Too cold work environments are referred to as "notoriously sexist". But as CBS News correspondent Nikki Battiste reports, it was only 69 degrees in the hall, and she had goose bumps to prove it. 1; unsuccessfully – tried to raise it. Nixon's request fueled social media on Wednesday evening, with women and men sharing their often contradictory office temperature preferences. At the Herald PR firm in New York City, Battiste also found an office shared by the thermostat. "They have summer on one side and winter on the other," said Herald's CEO and Founder Warren Cohn. While some men used table fans and short sleeves, Battiste found some women bundled and with space heaters. "Women should know that they are not crazy, it's not all in their heads," Dr. Tara Narula, CBS News Associate. She added that there is a science why women feel colder. "It has something to do with thermoregulation and metabolic rate and clothing differences," Narula said. A 2015 study published in Nature Climate Change found that most office temperatures are based on a formula from the 1960s based on the metabolic rate of an average human. Narula said men feel comfortable in their mid-70s and mid to high 70s women. "Finding a mid-point where both men and women can be happy would be the ideal situation," Narula said.